It was in 1945, shortly after the end of World War II, that several science fiction writers and scientists got together to discuss how to get man into space fast enough so that he would be distracted from further wars on Earth. The meeting took place at Robert A. Heinlein’s home in Los Angeles and included Heinlein, L. Ron Hubbard, and others. The scene was actually quite grim. We had just concluded six years of a World War. Then, with the close of active hostilities, began what became known as the Cold War, a rapid escalation of arms buildup in the hopes of maintaining a stalemate in global aggression. Enough atomic bombs were being stockpiled between the US and Russia to destroy the Earth several times over. If you aren’t too familiar with the Cold War, have a look at this “Cold War in 9 Minutes” video. This group of authors and scientists, some of them having just served as officers in the military, had the ear of Washington, DC, and the authority to make a proposition. And their intention was to utilize their position to turn the direction things were headed. 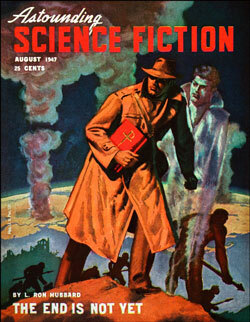 To address the immediate problem at hand, one of the first novels to be published following this meeting was in 1947 by L. Ron Hubbard entitled “The End is Not Yet.” It was a story of an alternate future for America born in the shattering instant of atomic fury in the next World War, a future that America was headed toward. 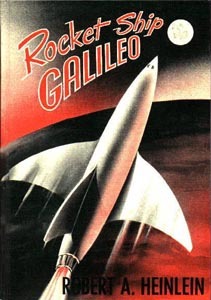 Also in 1947, Robert A. Heinlein wrote Rocket Ship Galileo, later made into the 1950 movie, Destination Moon, the story of three teens and their adventure to the moon. This was followed by Space Cadet, whose story’s hero joins the Space Patrol to help preserve the galaxy. Then came the novel Red Planet, Heinlein’s first venture at travel to Mars. Soon after was the 1948-49 “Future History” series of seven tales published in Startling Stories magazine, entitled “The Conquest of Space.” It was in these stories that the privatization of space flight was ultimately the solution that made travel into space possible. Forward the program was moving at a good speed up to the point we landed on the moon in 1969. 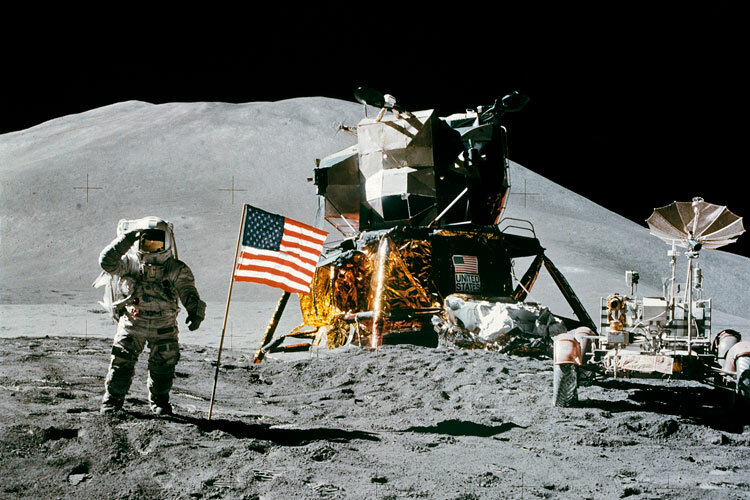 And from then, the space program ground to a halt. Unfortunately, private space travel was at that time illegal. It wasn’t until 2004 with the approval of H.R. 3752, the Commercial Space Launch Amendments Act of 2004, that private companies could enter the arena of space exploration. 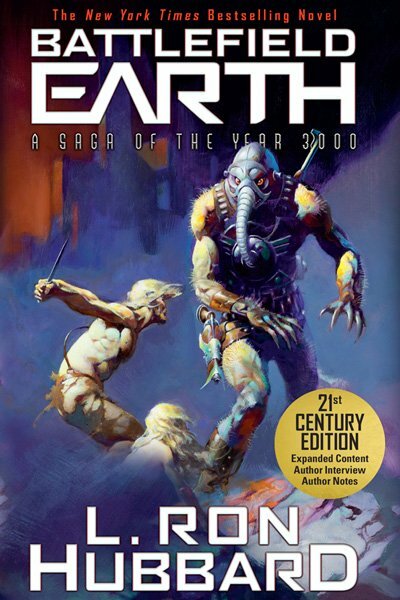 So the question is: Will we heed the warnings of the Golden Age of Science Fiction and continue to embrace the purpose to get humanity into space before we destroy ourselves in some mad escalation of ideologies, as almost happened in the 1950s? I agree. Sci-fi writers keep writing and let’s get going and get there fast!